Store your personal data in one place with Greplin. Search All of Your Personal Data in One Place with Greplin (it's free). Do you have any personal search engine recommendations to better manage all my data sources? I'd like the ability to search my Twitter, Facebook, Gmail, Google Voice and other services I have online from a uniform interface. Is there something out there that will do this for me? Answer: These days, it's not uncommon to have important information spread across a variety of different online social repositories. In order to easily access this data, you used to have to login to each separate service. This is not only inconvenient, but if you keep a lot of data online (like we do), it can really inhibit your ability to be productive. The more data we create, the more we need a solution that will help us sort through that data. 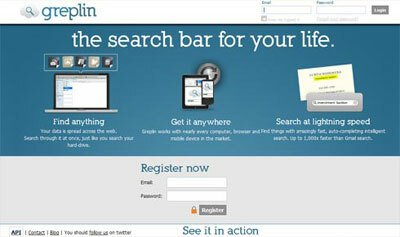 Enter Greplin - a personal search engine. While search engines like Google scour the entire Internet to gather data on general queries, Greplin searches through your own "individual" Internet, one composed entirely of personal information and social networking data that you've previously entered.